Six Russian field and track athletes have been stripped of all of the titles and medals they won between 2009 and 2013 for breaking anti-doping rules. The Court of Arbitration for Sport (CAS) made the ruling at a hearing in Lausanne on Thursday, after upholding an appeal from the International Association of Athletics Federations (IAAF) against the athletes and the Russian Anti-Doping Agency (RUSADA). “The appeals concern one element of decisions issued by the disciplinary committee of the Russian Anti-Doping Agency (RUSADA) in anti-doping cases brought against the athletes, based on irregularities observed in the athletes’ biological passports,” CAS said in its ruling. 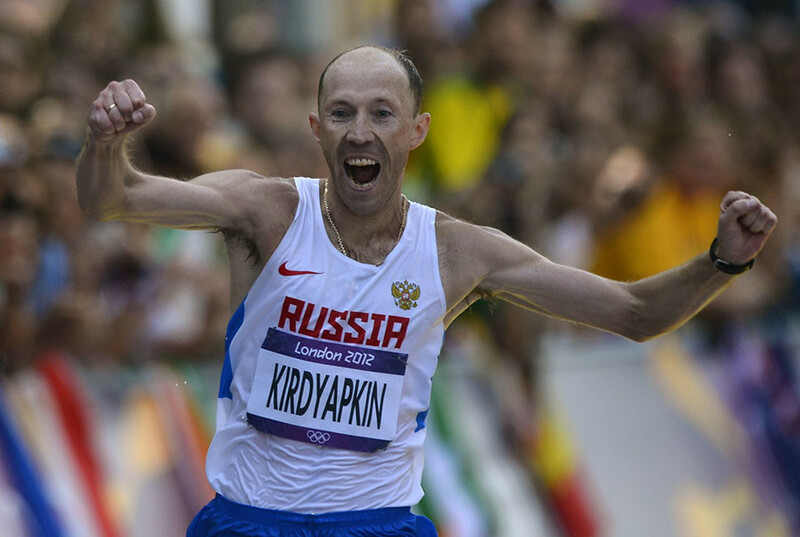 Sergey Kirdyapkin, who won the 50 kilometer walk at the 2012 London Olympics, Sergey Bakulin, winner of the same event at the 2011 World Championships, and Yuliya Zaripova, who was successful in the steeplechase at the 2011 World Championships, have all had their medals taken away. Olga Kaniskina, who won the silver medal for the 20 kilometer walk in London, has also been stripped of her medal. The quartet, along with fellow athletes Valery Borchin and Vladimir Kanaikin, have also seen their competitive results for various periods from 2009 to 2013 wiped from the record books. “The International Association of Athletics Federations (IAAF) claimed that RUSADA had incorrectly applied the applicable anti-doping rules adopted by IAAF to implement the provisions of the World Anti-Doping Code with respect to the disqualification of competitive results (disqualification of results split in different periods),” the CAS said. Fourth-place finisher Rob Heffernan of Ireland will move up to the bronze medal position. He told Irish radio station Today FM: “I’m buzzing. I got a generic email off the Court of Arbitration for Sport (containing the judgment).